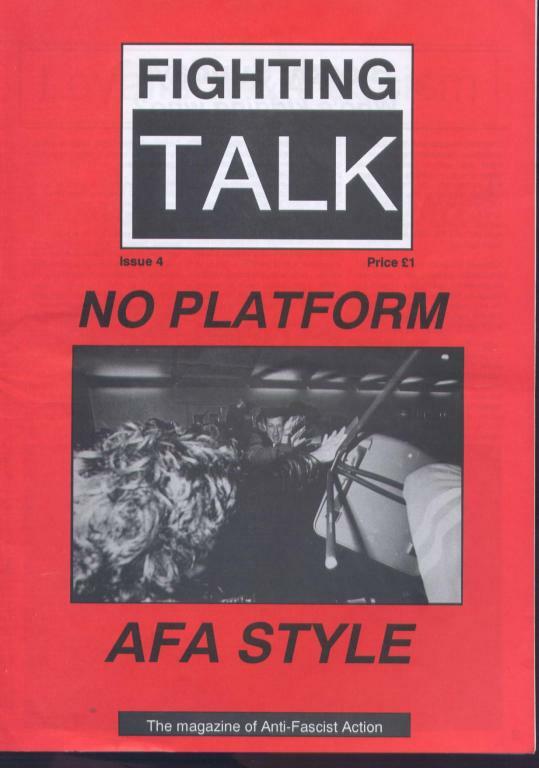 Complete archive of UK group Anti Fascist Action's journal Fighting Talk, published between September 1991 and April 1999, in PDF format. Nice one. These are remarkably hard to find these days. Question: does anyone know anything about the York branch of AFA? Looking through these, there's a listing for a group in each issue up to 17, at which point it disappears. Didn't notice any reports in the magazine from skimming through it tho may have missed something. Issues 22, 23, 24 and 25 are now on the archive. jolie is spam. Or mad. Or mad spam. I have several of these magazines and would like to sell them. Do you know how I go about this. I have several original magazines and unsure what to do with these. is there anywhere that buys these magazines ?